When I look for ideas for common wood projects, I often scan through images to find elements I like. 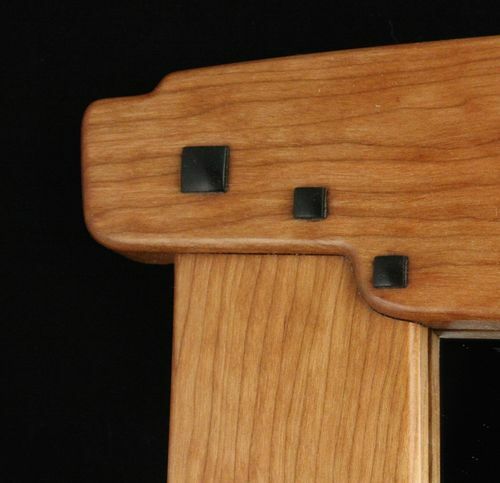 For frames, I’ve always paused on images of the “famous” John Hall frame from the Gamble House. Typical Greene & Greene styling. The plans I used were directly from the Wood Whisperer's website (thanks Mark!). The Wood Whisper templates take out all of the guess work and I decided it was time to just do it and git-r-done! 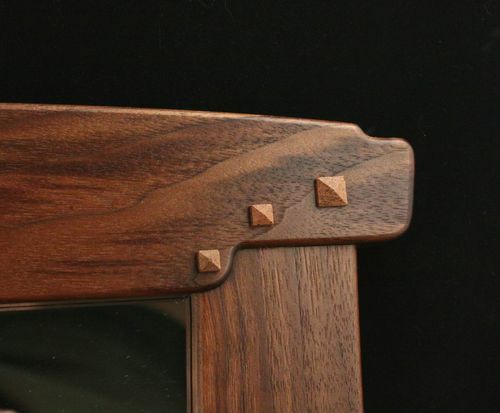 I made two frames, the first frame (prototype) is cherry with ebony plugs. I made a few changes to the Wood Whisperer’s procedure to speed things up. To eliminate a lot of the hand work, I used a 1/4” flush trim and 1/8” radius round over (with 1/4” pilot bearings). these bits allowed me to get into the tight corners and recesses. The frame was scaled to 70% while printing so I could use a standard 12” mirror tile and cut it to fit. The mirrors are under $2 each. Getting a mirror cut locally to fit the full scale version would have cost over $50. 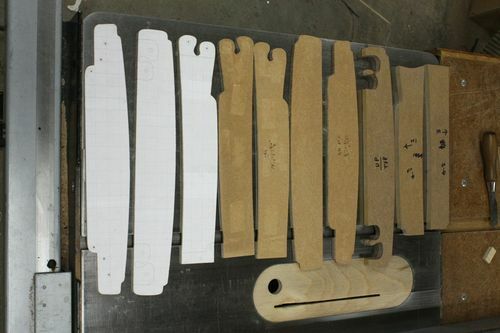 These patterns were spray-glued to hard board and shaped, then working templates were cut from this master set. I went ahead and made additional templates for the puzzle and upper mortices to eliminate 99% of the hand fitting required for these connections. The mirror and back panel rabbets were cut after the frame was assembled. The corners for the mirror rabbet were squared up so I could cut a simple rectangular mirror from the 12” tile. A wider rabbet was cut for a hardboard back. Once these template were made, the entire mirror can be knocked out and assembled in hours. 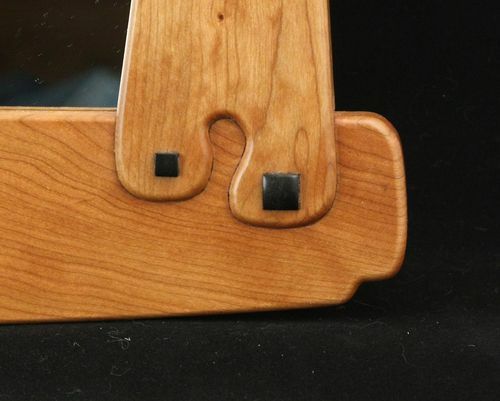 The finish is danish oil with spray can polyurethane. These mirror frames are so nice and beautifully done. WOW, those are really beautiful! Nice work. Nice frames! I like the other G&G frame on the WW site, the one with more of an Asian flavor. So, the plans come with templates for all of the pieces? Does it also incude a video? Great Project and write-up. Thanks for sharing the details. 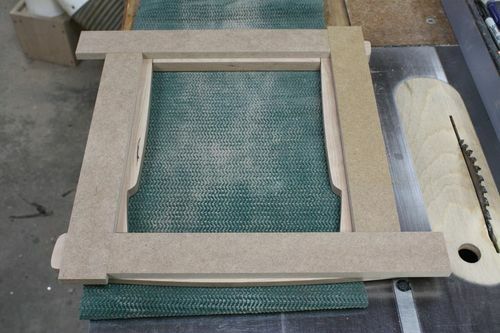 Making some picture frames is definitely on my short list. This is a great inspiration. I was thinking of some Dard Hunter style frames but this would really take it up a notch or three. Charlie, the templates from the site only replicate the four pieces. 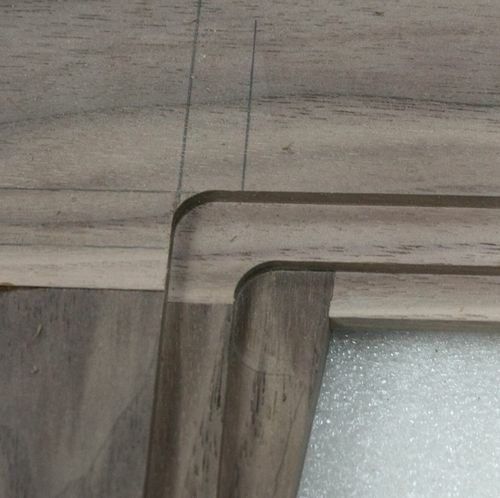 Basically you have to trace the puzzle joint onto the bottom rail and then carve out the shallow mortice. This is why I made additional templates, I could use a mortice bit to clean out the areas on both rails and only need minimal tweaking to get things to fit. One thing I changed on the WW templated was to open up the puzzle notch slightly so I could do all the curves with a pattern bit. The WW has a lot of his projects on video, check it out! 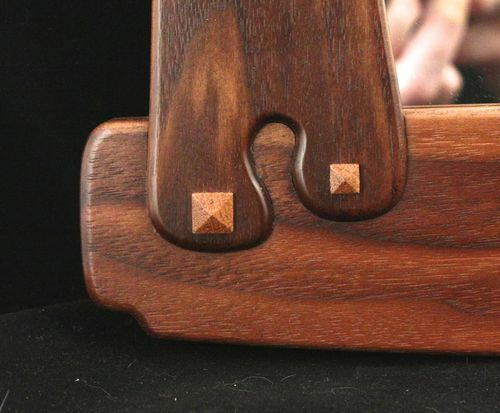 Pretty cool joinery. Of course, for big series, this flush trim is the fastest. Have you been looking through my spring to-do list? I’ve wanted to make this frame ever since I saw it. I will be shamelessly borrowing your ideas when I start mine. 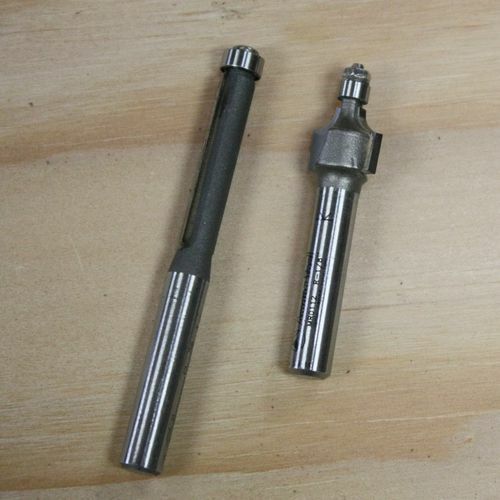 I just bought a couple of MLCS roundover bits that have a brass pin on top rather than the bearings for getting into tight spaces. Really nice. Thanks for sharing all the steps you used in the development!! Really really beautiful, superb, amazing!!!! Have you been looking through my spring to-do list? I ve wanted to make this frame ever since I saw it. The last time I used solid (HS steel) pilots was with my dads old Craftsman router. They always left smoking trails where the pilots burned the wood as they went past. I haven’t even though about them since. They sure would be cheaper, how do you like them?